If you’ve been thinking of going green, the best time to start was yesterday. The second best time? Right now. With so many ways to be eco-friendly in the New Toyota model lineup, it’s easier than ever for drivers like you in Warwick, Providence, Cranston, North Kingstown, and Pawtucket RI to go green with a hybrid car or crossover. Not only will you enjoy personal benefits from fuel savings, you’ll know that – little by little – you’re helping the environment by reducing emissions and cutting back your fuel consumptions. 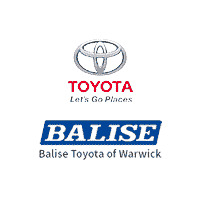 As one of the larger hybrid car dealers in the greater Providence area, Balise Toyota is proud to be able to help you achieve your goals of lowering your carbon footprint in a fun and practical way. Choose from models like the stunning Avalon Hybrid, the sleek Camry Hybrid, versatile Highlander Hybrid, the market defining Prius, Prius c, Prius Plug-In, or Prius V, and the all-new and upcoming Toyota RAV4 Hybrid to enjoy quieter, more fuel-efficient performance at an affordable price. If walking, biking, or busing on your commute just isn’t an option, the eco-friendly selection of Toyota electric and hybrid vehicles gives you the easy opportunity be greener without sacrificing your independence. What other benefits are there to buying a hybrid car in Warwick? You can apply for federal tax credits on plug-in models, and – if you live in Massachusetts – you could also be eligible for electric vehicle rebates! It’s the gift to yourself that keeps on giving – to you, to your community, and to our environment. Browse below to see all of our available Toyota hybrid cars for sale. Compare price, hybrid mpg, power and performance, and design to find the perfect fit for your needs.